...Into the Amyrlin's study in the White Tower, where Amyrlin, Flaida do Avriny a 'Roihan, is weaving new plans. For once the Dragon walks the land, the fires of Heaven fall where they will, until all men's lives are ablaze. And in Shayol Ghul, the Dark One stirs. 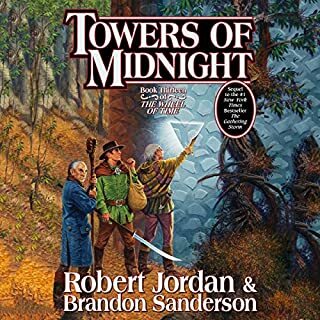 I’ve read most of this series on paper long before getting audible, but I wanted to hear it again. 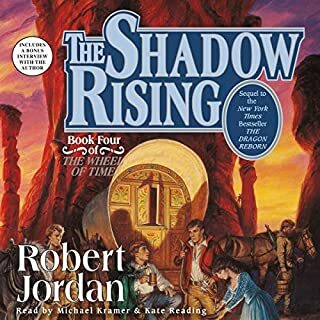 It is a great series for anyone who likes the fantasy adventure type stories. The narrative could be a bit better, but definitely a good listen for anyone on those long drives! The Wheel turns as the Wheel wills. This is the best book series ever. I won't be watching the TV series. You need to experience the author first hand either by reading it or listening to ask unabridged audiobook. Truly epic. I enjoyed reading this book, although I recall thinking it dragged in parts. Listening to the audio book was even better than reading! And two of my favorites "scenes" in the series are beautifully painted for you in spoken word! Possibly the best so far if your following the series. 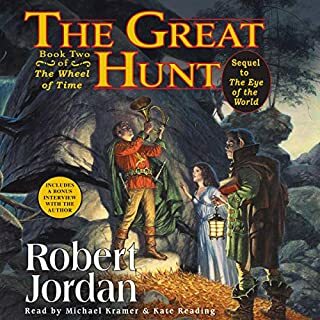 The "Great Hunt" a close second. No matter how they review you cannot pick up this book in the middle. 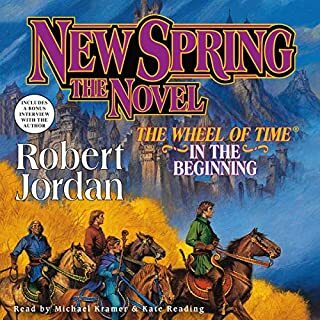 If you've finished 1 thru 4 you should read "New Spring" before you do this one. Much insight and a real good story. In this one people are gone you would never have expected to be gone. 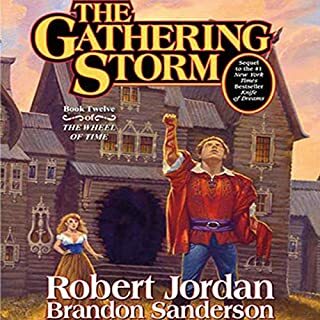 Rand is slowly becoming someone you'd never recoginize from the first book. 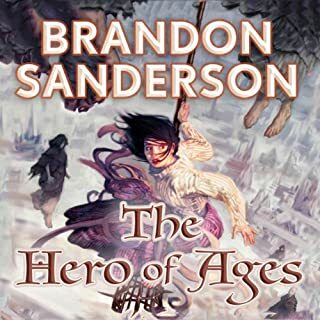 I just wish audible would not offer 9 out of 10 books in a series and leave out #5 for so long. The average member is not looking that far ahead when he/she starts out. I've been waiting for this book a long time. Man...these books are great! Michael and Kate need to hurry up and read FASTER! :) I have to agree that the unabridged versions are SOOOOOOOOOOOO much better than the abridged versions...don't even waste your time with them. I've enjoyed listening to the series so far. Sometimes the names get confusing (like "domaunie" the land and the girl that can channel but is on a leash) but the readers are great. Yes readerS... 2 of them. A woman for the mostly women parts and a man for the mostly men parts of the book. Its quite cleaver and is very enjoyable after you get used to it. Sometimes Robert gets a little repetitive with the whole "smoothing a skirt" or other traits of a character but then that?s his style. The story line is great and somewhat original. 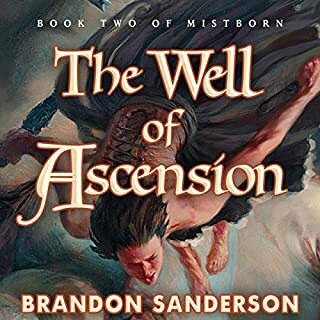 I'd recommend this book to those that like Fantasy Books. 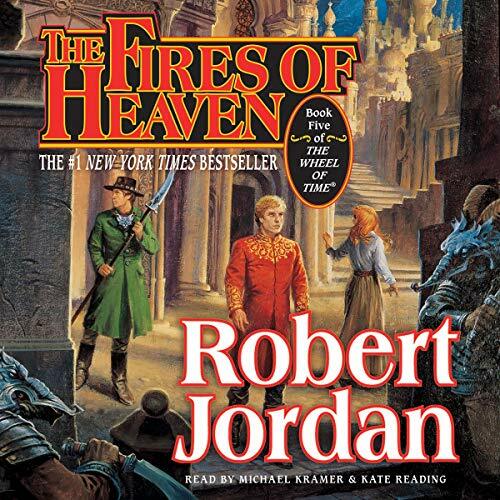 I've really been enjoying this series, and was overjoyed to see that Audible got the unabridged version of the Fires of Heaven. 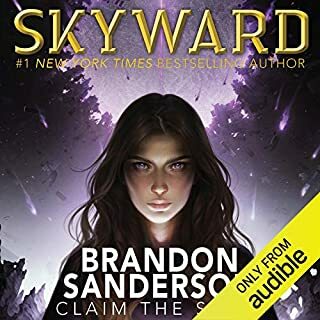 I enjoyed this book immensely, and look forward to Audible getting the UNABRIDGED versions of the next 3 books (hint hint). 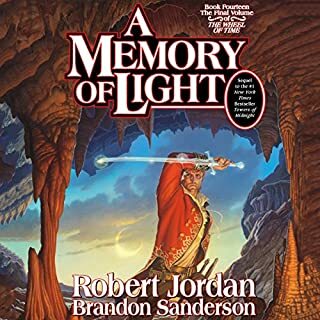 I have liked all of Jordan's book including this 5th book. The only complaint I have is constant reference that Men think Women are stupid and Women think Men are stupid. I think it is safe to say the there are times when we all share the this viewpoint but he uses it ALL the time in this 5th book. I also had some trouble following all the various path the many characters take. 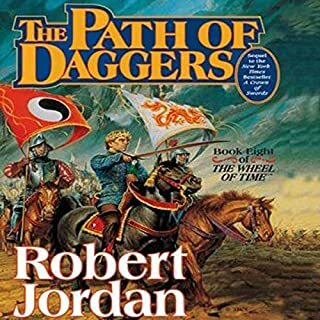 On the whole I have enjoyed Jordan's books and I will buy all the rest if they show up. It so involved a story you can't stop at Book 5. He makes the characters so real you can't help but want to know what happens. Just seemed to drag on and on and on. Almost fell asleep several time until part 5, then everything happened at once. Lots of intrigue and character development (though I could have predicted what happened in the last hour with three of the characters). A few really great cliffhangers for the next book. I miss Perrin and Fayile from the last book - on to book 6 to see if they show up! What made the experience of listening to The Fires of Heaven the most enjoyable? After getting used to listen to two different narrators I have become to appreciate it. I can't really say what I think is best about the story since I appreciate everything in it. 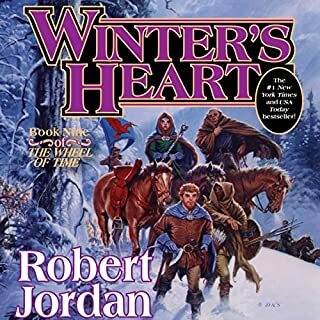 Robert Jordan was in my view a master when it came to writing fantasy. You can see the lands and characters before your eyes when reading/listening to his books. 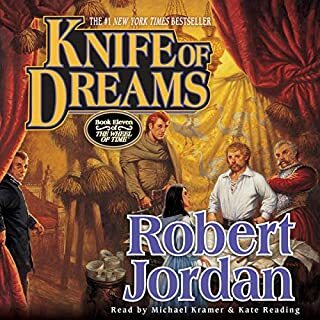 Would you listen to another book narrated by Kate Reading and Michael Kramer ? I'm sure I will listen to more books narrated by them, atleast in this serie. I would like to listen at it in one sitting but it's not really possible because of the lenght of it. Come on with the gender wars already!! 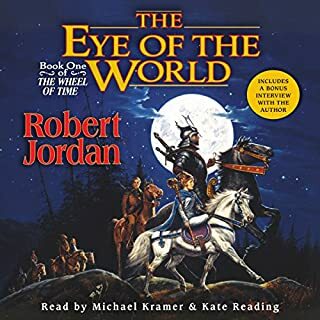 Would you try another book from Robert Jordan and/or Kate Reading and Michael Kramer ? Oh I'm sure that I will finish the series. Please don't take this review the wrong way because I do think that the story is great. I just have a few issues with it. I am about halfway through this book so far and I have to tell you that I am getting pretty tired of the gender wars. Each gender thinks that the other is COMPLETELY stupid. It was funny in the first book or two, but I'm pretty fed up with it now. The book would be half as long if they just kept to the story and stopped babbling about how they don't understand each other...ever try talking!!?? Just a little miffed about it, sorry for the rant. The other thing that is starting to get on my nerves is the characters’ inner monologues. I try and think about things in real time. There is no way that somebody can have an inner though that would be 1000 words long when the sentence they are actually saying is 6 words. I just picture in my head a person talking and then, mid-sentence, starring at you with a blank face while they are thinking in their head. Just another pet peeve of mine. Too much inner monologue, just get on with the story. Besides, we know what the characters are thinking because they have had the same inner monologue the whole story; it’s not until the end of each book that it changes so I could do without the author repeating it every few pages. 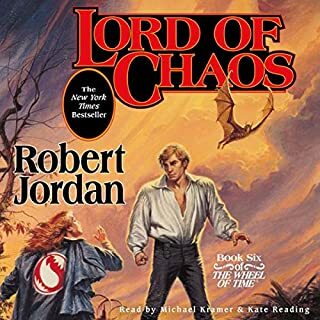 As I am listening to the book rather than reading it (there is no way I could sit there long enough to read this series) the names are bit hard to remember. There are A LOT of names in the story that sound very similar and it can be hard to keep track of whom the story is referring to. That and the fact that the story jumps from character to character. The books could have been half as long and still great. I’m not a huge fan of unnecessary writing. 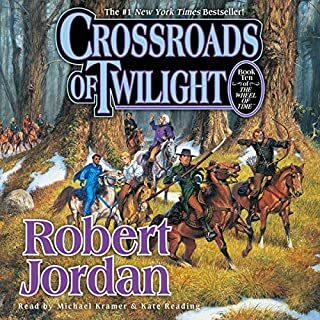 The Narration is great on this book and I don't think the narrators could have done a better job. The characters and the plot great from beginning to end. 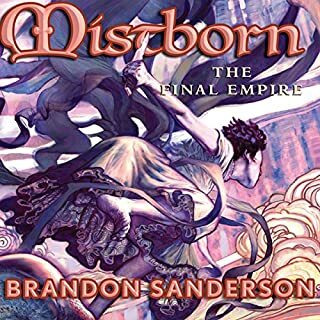 If you like Fiction and Fantasy you will love it. What was one of the most memorable moments of The Fires of Heaven? There were so many memorable moments I laughed at or worried about or just got totally involved in. But the strongest moment for the main character of the book "Rand" was to me the last chapter where he finally showed he was the Leader he was meant to be and able to make the tough decisions. I think he really became a man at that moment to me. Oh, they bring so much enjoyment and character to the book. I get to the point I look for hearing their voice. 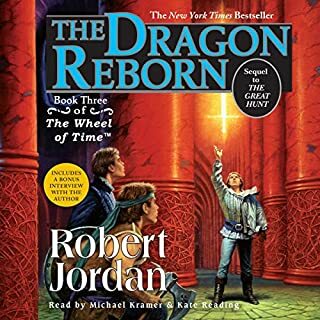 I listened to a short book waiting for my credit to purchase the next book and listening to a completely different style of narrator made me really appreciate Kate & Michael much more. They are perfect with the narration as well as the voices they come up with for different characters. You bet! I did not but if I could have I would have! 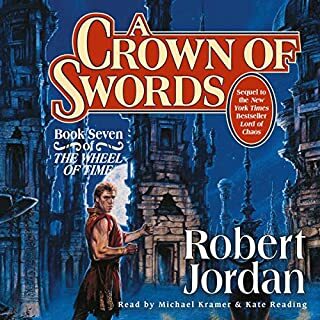 I promised myself I would only listen to this series of books while I exercised and it was not long before I first caught myself working out more just to keep listening to the book, and then I finally threw that promise away because I enjoyed the book so much. I think you will see what I mean. I just can not understand why the author created his female and male characters with such stereotypes! All the females are "bossy", so self confident that it is just impossible to get linked to their characters.. they are never thankful, rule all the nations, from villages to kingdom, and never accept to recognize their wrongs. Men are just not able to stand up to women. The way they are described is almost as much unnerving as the women..